My little girl enjoys arts and crafts as much as I do. 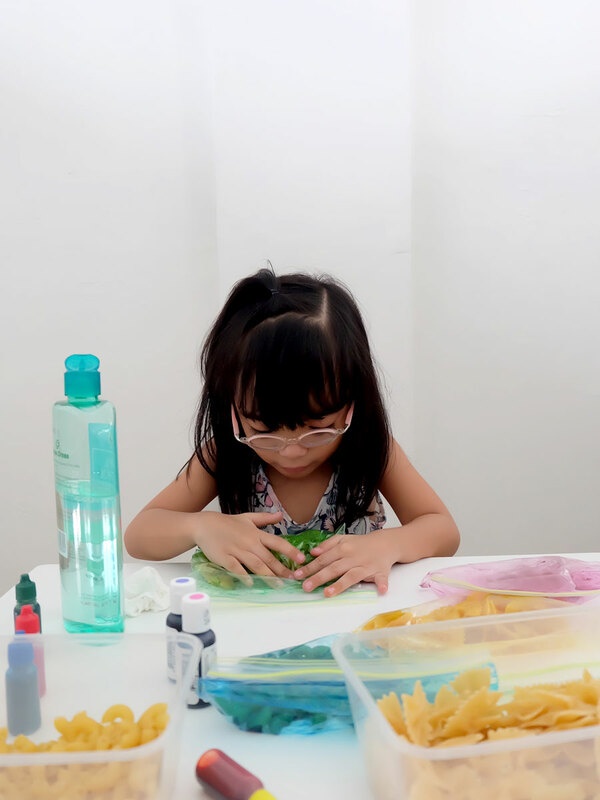 She loves working and getting lost in her own creativity, and as young as five, she is starting to love all the different materials and ephemera one can use to make. It was cute for a while, but now I find her going through my embellishments and craft stash to find treasures for her own artworks. Not so nice, especially when I discover trinkets that I’ve been saving for my own art, scattered all over the floor, and some even glued to her masterpieces. I figured it was time to start gathering more supplies for her own crafts. 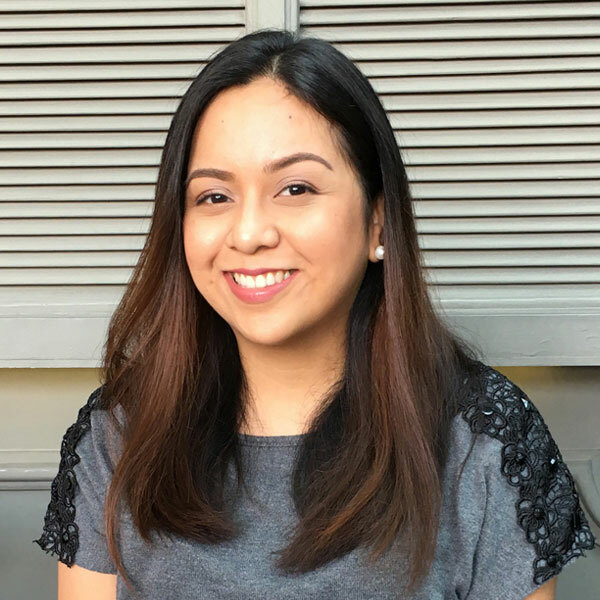 Now, why buy materials when you can make some using ingredients you already have at home, right? The other day, we did some making to be able to make some more crafts. We made some rainbow pasta! 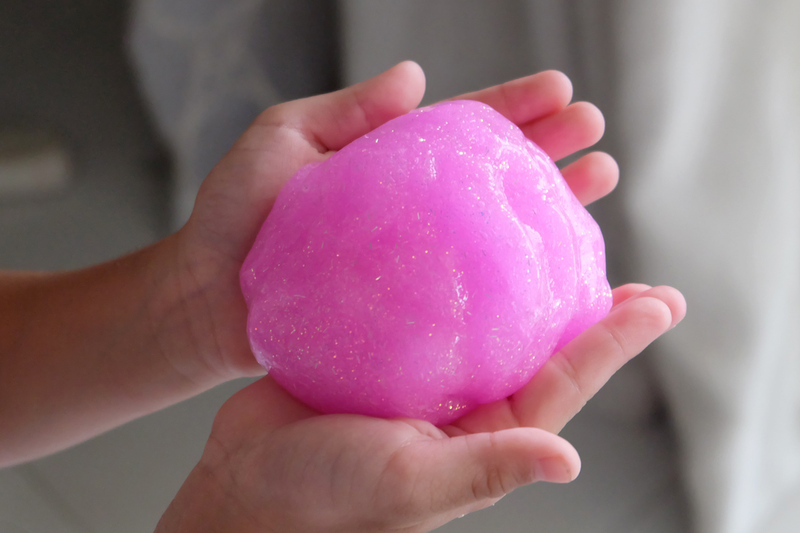 Want to learn how to make some with your little ones, too? 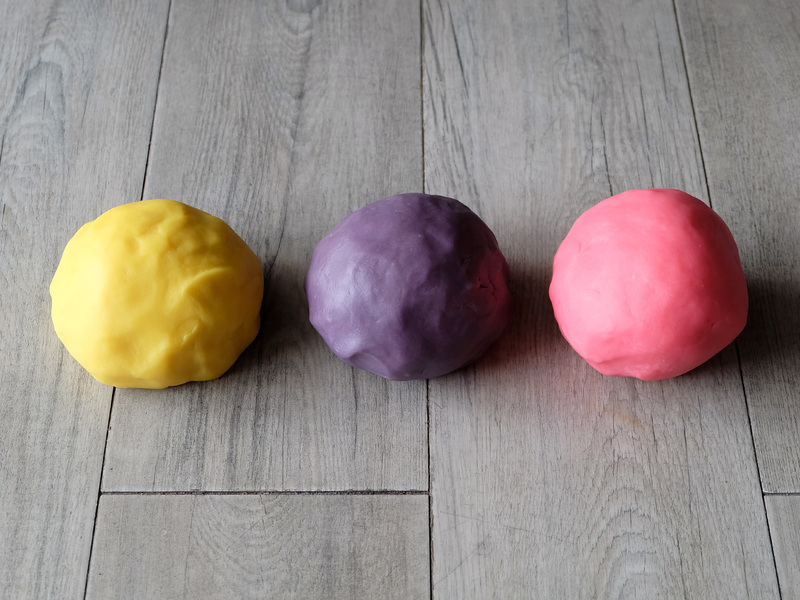 They are fun and easy to make, I decided to share how we made them below. 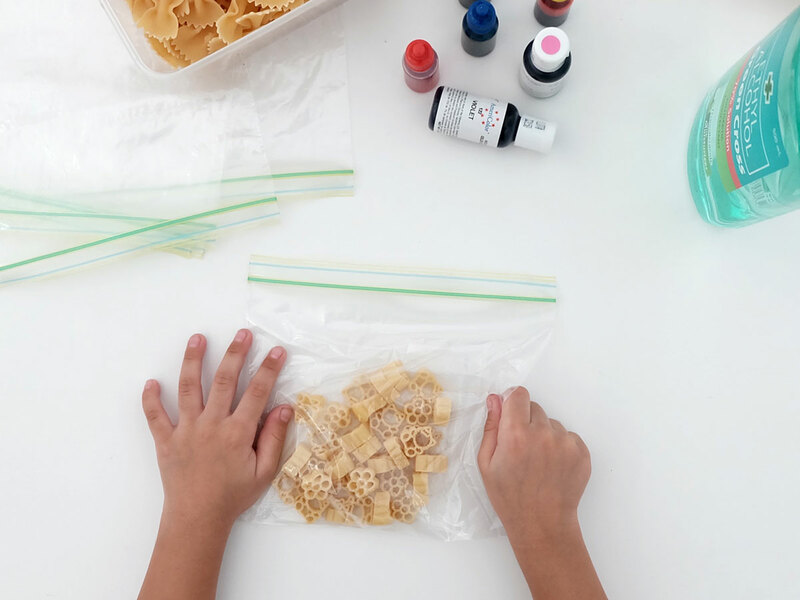 To start off, fill up a ziplock bag with some uncooked pasta. Add about two to three tablespoon of rubbing alcohol. 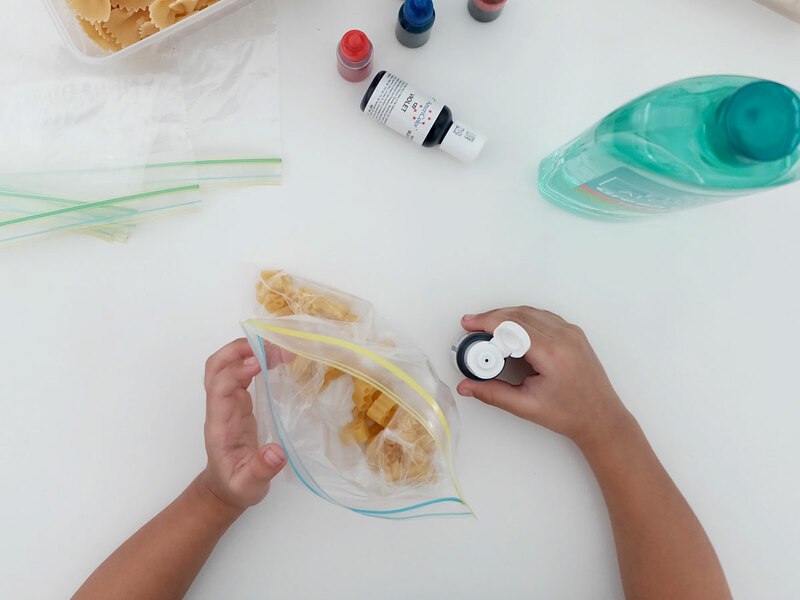 This will help spread the food coloring better. Add a few drops of food coloring. We tried using both gel and liquid coloring, and we found that the latter was a lot easier to spread. Now, for the fun part! Seal the bag and shake, shake, shake! 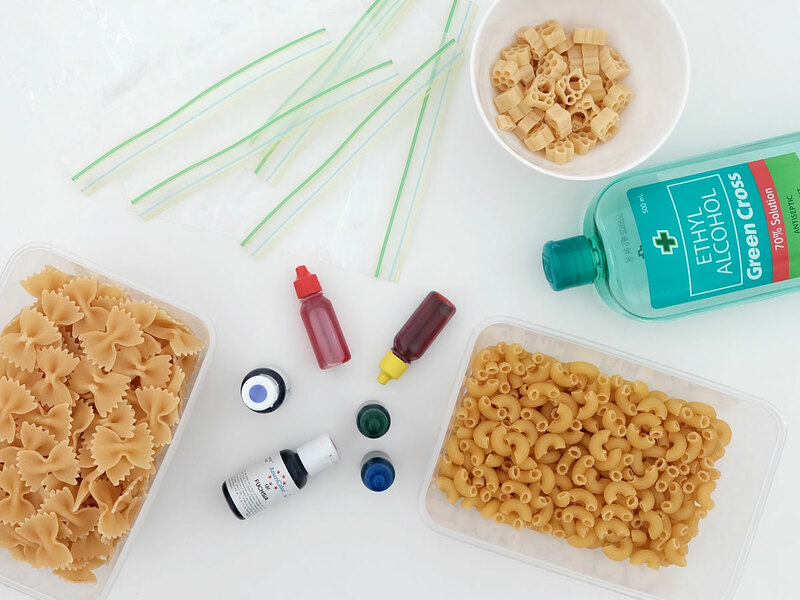 Get the little ones in on this, and make sure the color is distributed all over the pasta. If the color isn’t spreading well, add a bit more rubbing alcohol. 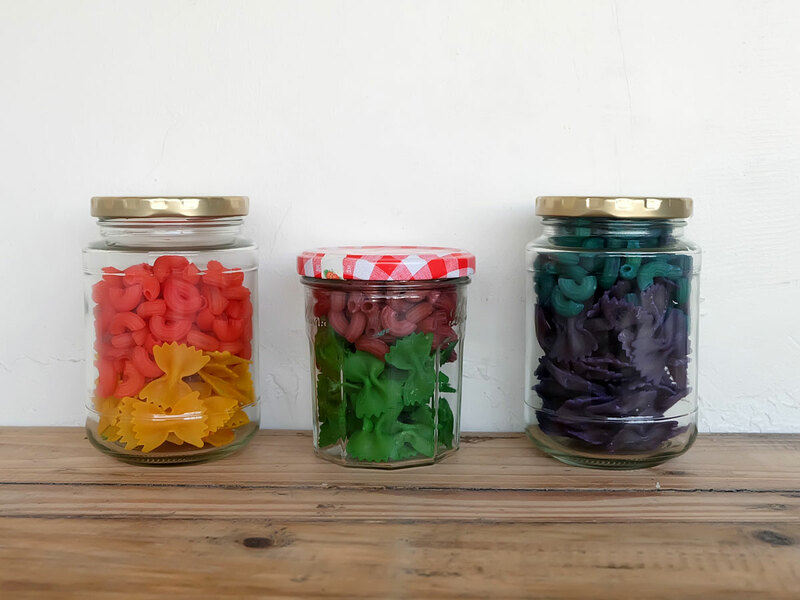 Once you are sure that the food coloring has spread evenly, work on the other pasta using the other colors. 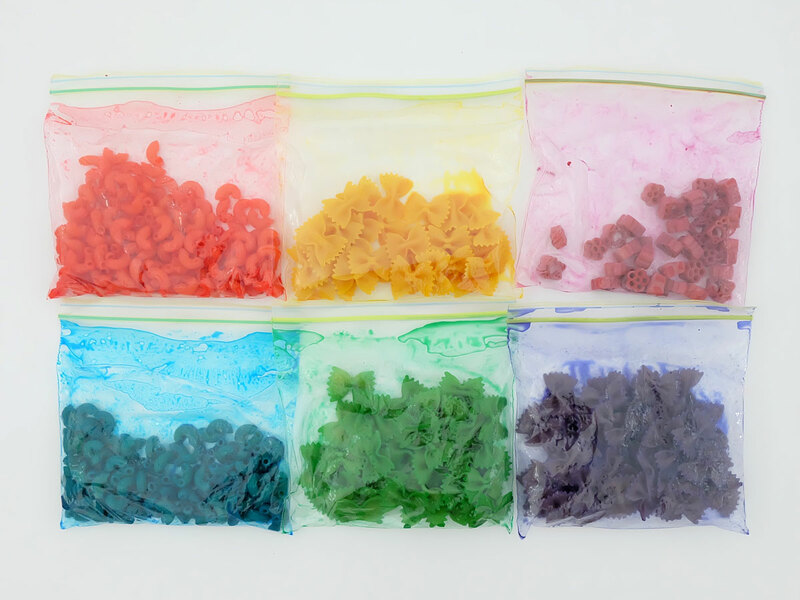 Allow them to sit in the ziplock bags for at least twenty minutes to make sure they are dyed well. 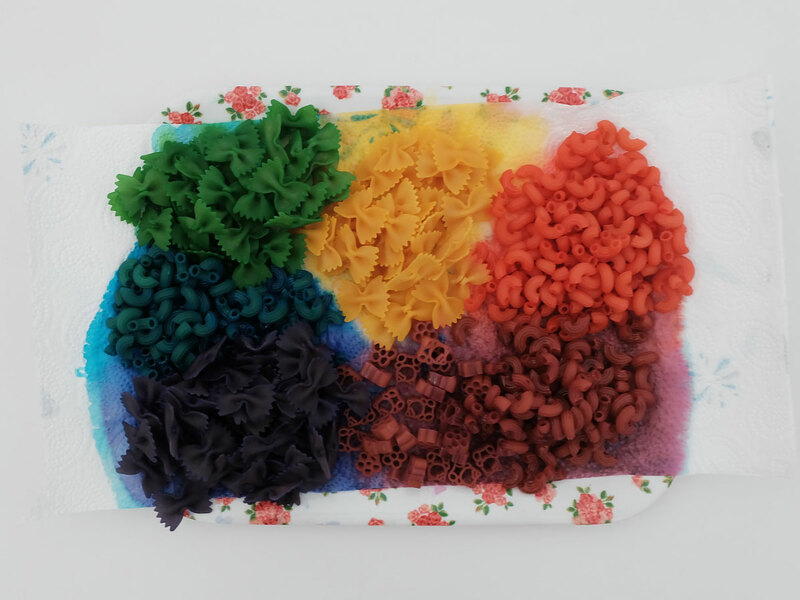 Empty out all the colored pasta on a kitchen towel and allow to dry. We left ours out on the balcony on a sunny afternoon, so everything was all dried after about an hour. You may need to wait longer, even overnight, during cold days. That’s it! All ready for some colorful crafts! They store nicely in glass jars, too! 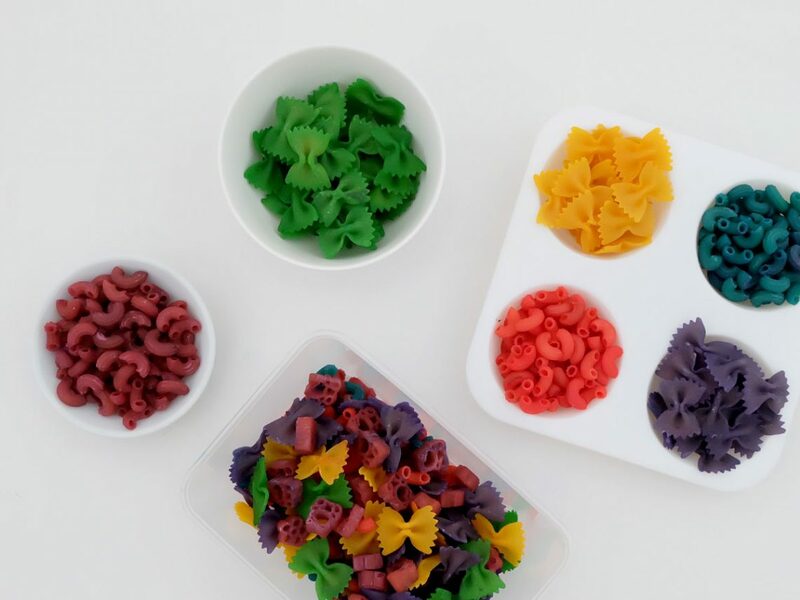 The whole making of rainbow pasta was already an artsy exercise for my little girl, so we’re saving our colorful goodies for our next crafting session. 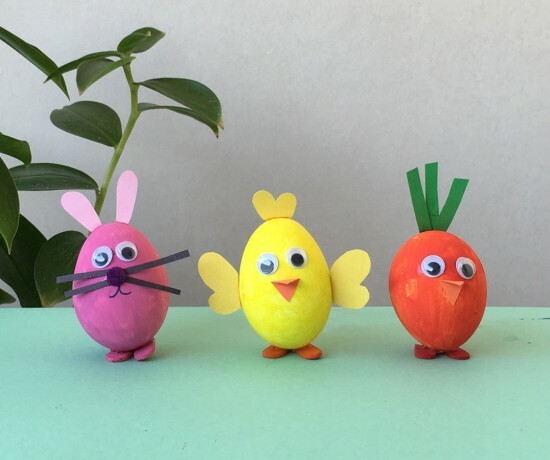 They’ll be perfect for our next Invitation to Create, I can’t wait to see what masterpiece Zoë can come up with!